I accidentally tried hot yoga this week. How, you might wonder, does one accidentally try a hot yoga class? Well, my gym membership has ended (no more Ballet Barre or Yogalates, le sad) and I wanted something less permanent with no commitment since we are hoping to be moved out to Alabama soon. I had been doing two to three Vinyasa yoga classes at the gym each week, so I purchased a Groupon for ten classes at a new yoga studio to keep my yoga practice going. When I was purchasing the Groupon, I totally assumed it was for a normal yoga studio. Nowhere on the website did it say it was a HOT studio. A half hour before my first class I google the location, and right there on the map, it explicitly said "Heated Yoga" - I just about fainted. I have never, ever had the desire to try heated yoga. I don't like to be hot (to be fair I don't think anyone enjoys being hot). 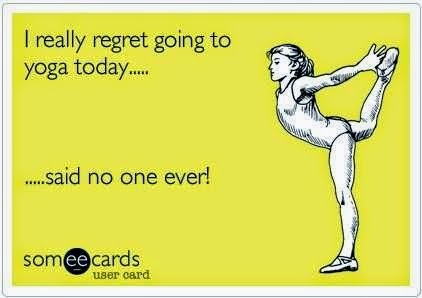 And really, I sweat enough in regular yoga. But the babysitter was already on her way, so I felt obligated to go (I mean, I suppose I could have headed out for a mani-pedi instead, but I didn't want let the Groupon go to waste). So off I went. Upon walking into the studio I was given one of these to try. A grippy yoga towel that goes on top of your mat. You know, the desk attendant explained, because you will sweat so much your yoga mat will be slippery. Good God, what was I getting myself into?? She then informed me that the room is heated to the low to teen hundreds with 40% humidity, and said to avoid sitting right in front of the heaters as those spots are the hottest. Y'all, I walked in and there were heaters everywhere. I did my best to find a spot not directly in front of one, and rolled out my mat. Everyone else was lying down so I did the same. This is kind of nice, nervous Mande thought. Warm, but doable. Then, the clicking and roaring. The monsters being woken from their slumber. The heaters were turning on. I thought the heaters were already on. Sh!t. Sh!t. Sh!t. I debate running out of the room. The teacher starts talking, reminding everyone that it's perfectly fine to sit and rest for half the class and not do the poses. She tells us to try to stay in the room for the entire hour and fifteen minutes. Again, I think about just grabbing my things and walking out really fast. The room is getting hotter and hotter. And then we start. We go through the Asanas, and I'm surprised I'm keeping up. I'm doing all of them. I'm not dying in pain from the heat as I thought I would be. In fact, I notice that I'm a bit more flexible. Is this the hot room's doing? Before I know it, we are down on our backs for our first Savasana break. I am giddy! I am 100% surprised, but I am loving hot yoga. The instructor opens the doors for our mini break and I feel the cool air. I laugh inside when I realize this "cool" air is the desert summer heat which can't be much below 100 degrees. One of my co-teachers did hot yoga and by her description of how much you sweat during it, it completely turned me off from doing it EVER! It's actually worse than I thought AND not as bad as I thought at the same time. Worse because there is actually even more sweat than I imagined, but it doesn't bother me gal has much as I thought it would! Just did class #2 tonight! I would have been terrified, too! Not going to lie, hot yoga just does not sound fun as I get heat headaches really easily but glad to hear you ended up having a good experience! I woke up the morning after with a headache! I was chugging water like a champ but it must not have been enough! 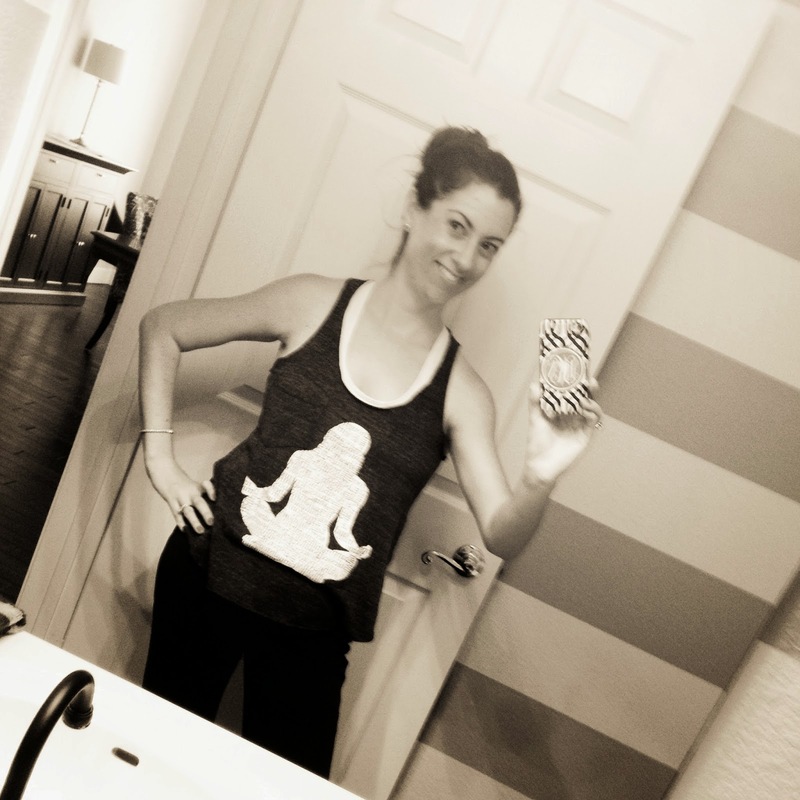 LOVE hot yoga! I actually hate regular yoga because I have zero flexibility. It's amazing what the heat will do for you! Have fun! I loved this post! Just found your blog from the Link Up with The Slaughters and I can't stop! I hope you have a Fabulous Friday!